JewishBoston.com is a website for Jews in Boston where you can find an immediate connection to all the amazing Jewish things that are happening in Boston right now. Discover links to cultural events (music, dance, film, lectures, cooking classes), Jewish education (courses, lectures, trips), organizations (synagogues, community centers, professional networking) and lots more. Combined Jewish Philanthropies (CJP) created the world of JewishBoston.com so that, finally, there is an easy-to-find, vibrant online place to connect Jews, especially young Jews, with one another and the community at large. 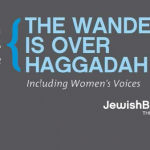 No more endless searching for ways to experience Jewish life. JewishBoston.com is a natural extension of CJP and was born out of the realization that a new way of thinking was needed to bring the community together.